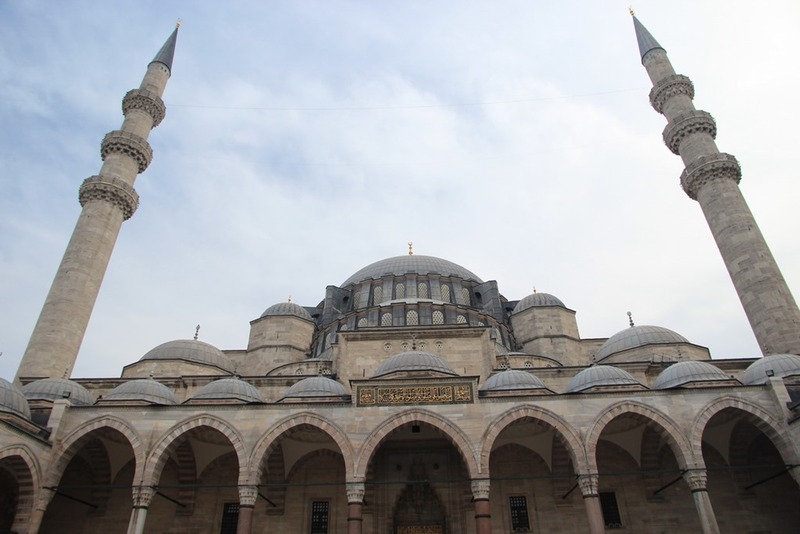 The first mosque we visited was the Sultan Ahmed Mosque, commonly known as the Blue Mosque. 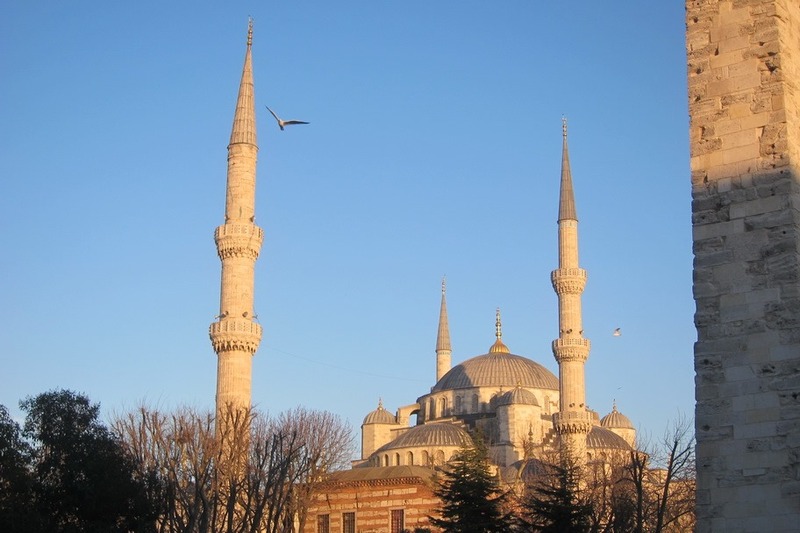 Built from 1609 to 1616 the Blue Mosque has a whopping 6 minarets which is atypical for mosques. 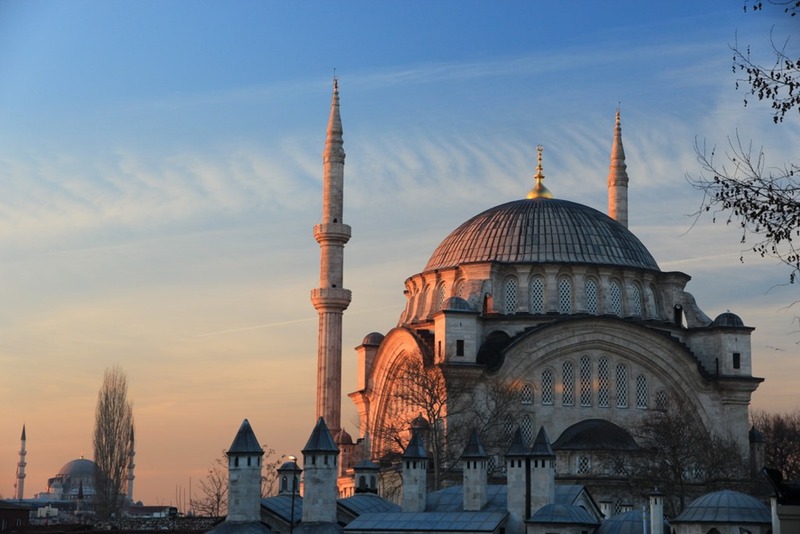 Apparently only a mosque built by a sultan can have 4 minarets, while one built by a prince or princess can only have 2 – so Sultan Ahmed must have been quite the boss, indeed. 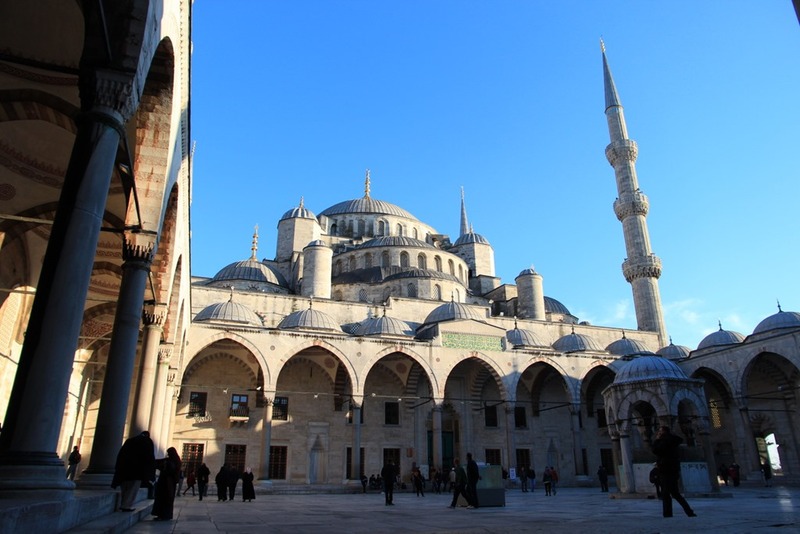 The Blue Mosque is considered to be one of the last great Ottoman mosques, and I can see why. It a photographer’s dream. 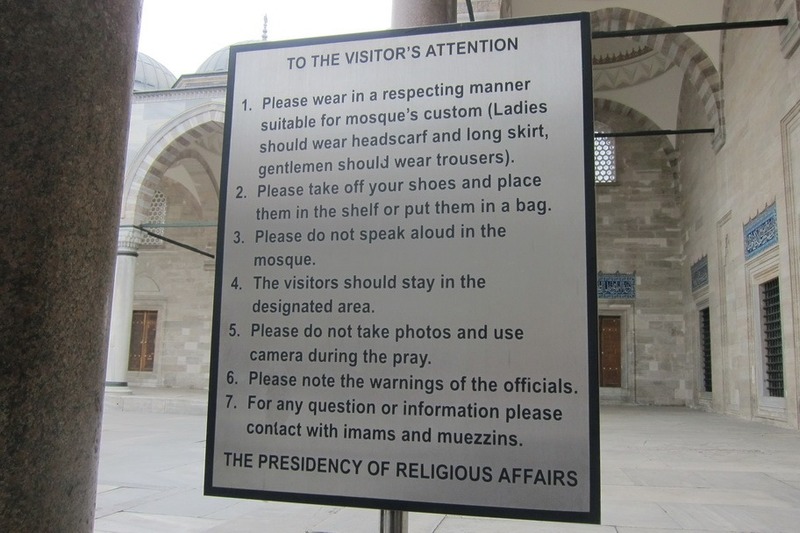 You need to be dressed in the proper attire in order to enter any of the mosques. 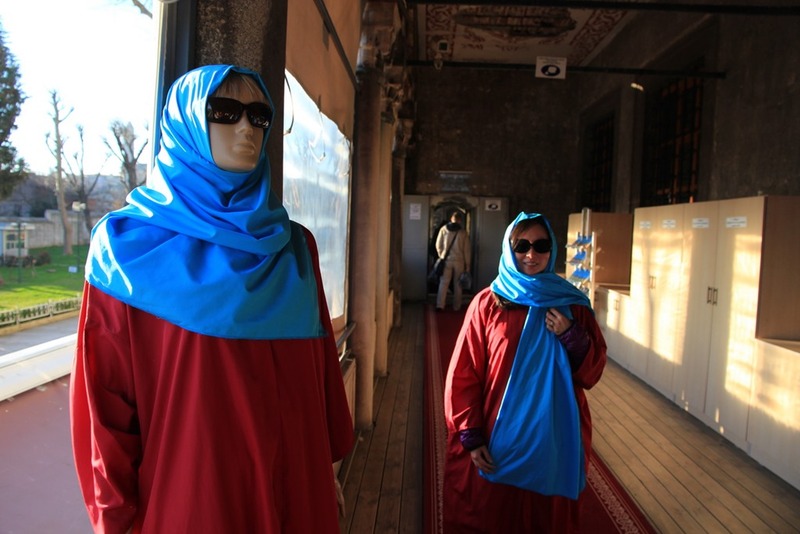 For men that involves wearing pants, while women need to dress modestly and cover their hair. 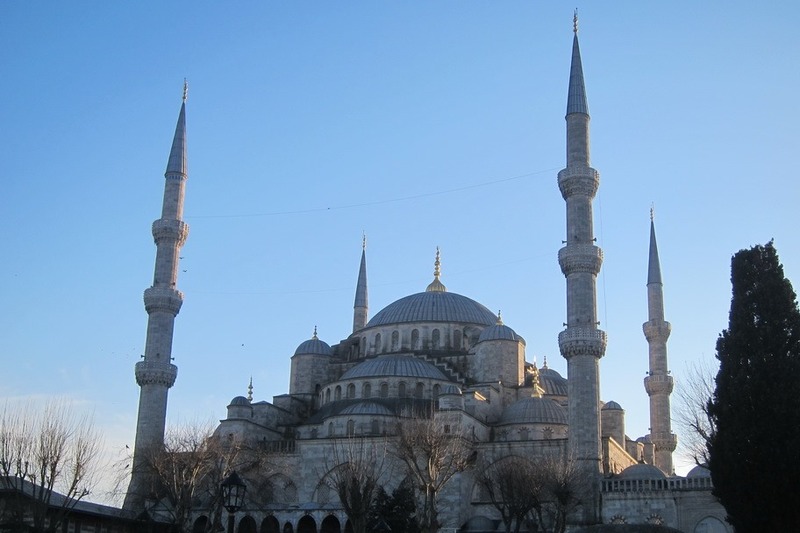 While many street vendors and stores sell scarves, the Blue Mosque also offers loaner headpieces in case you find yourself dressed immodestly. 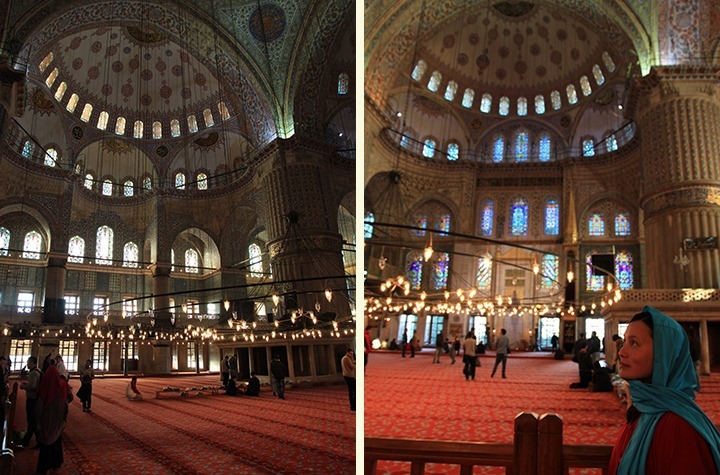 While not much of a fashion statement, it’s totally worth it, as the inside of the Blue Mosque is gorgeous. 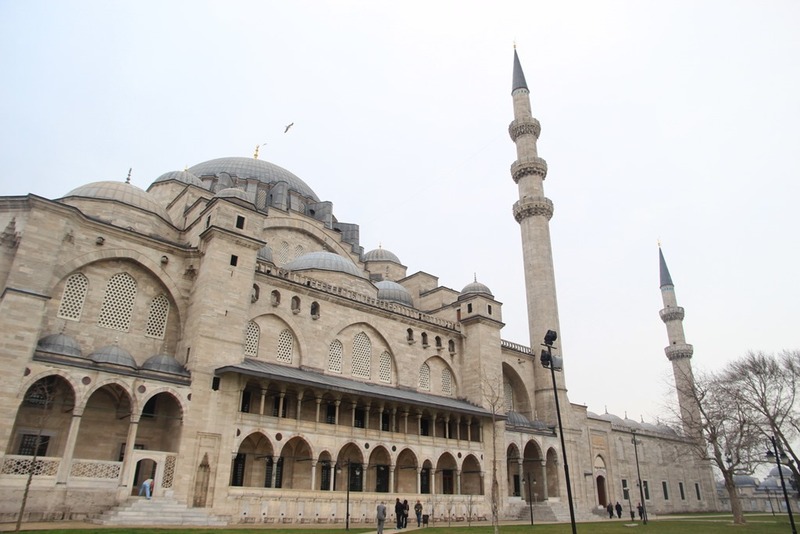 As a bonus we also visited the Obelisk of Theodosius and Serpentine Column. 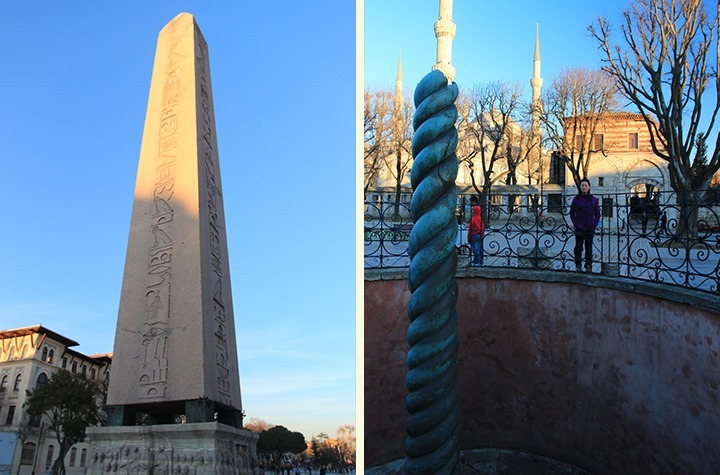 The Obelisk of Theodosius is over 1600 years old, and is Egyptian in origin, while the Serpentine Column is nearly 2500 years old, and was brought to Istanbul by Alexander the Great! 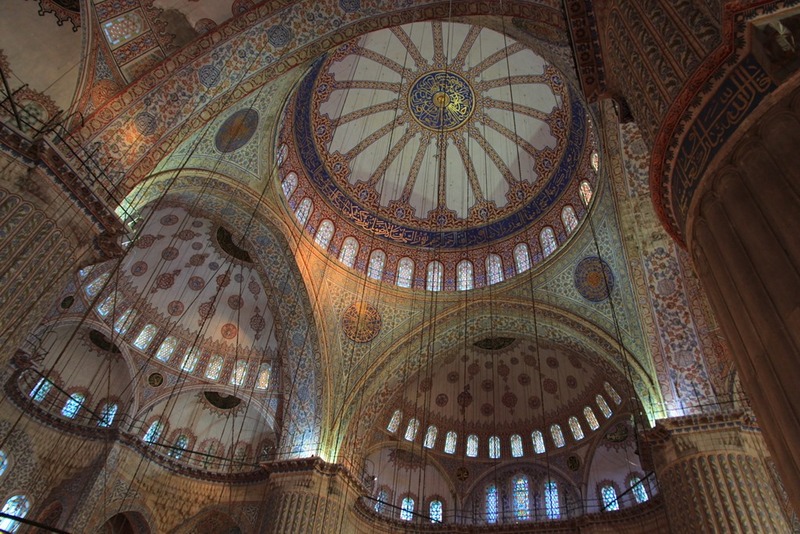 You can also snap some sweet shots of the Blue Mosque from there. 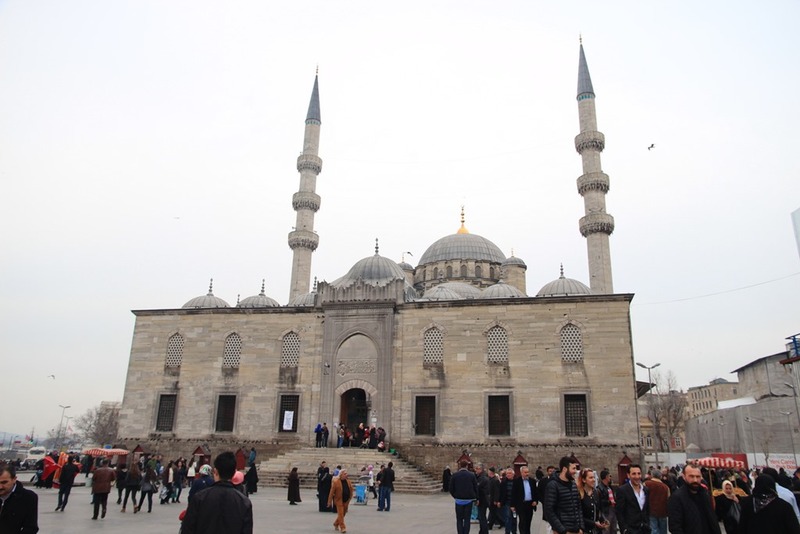 Built between 1660 and 1665, the “New Mosque” is one of the easiest mosques to get to and is located right next to the Spice Bazaar. We managed to show up right around a prayer time. 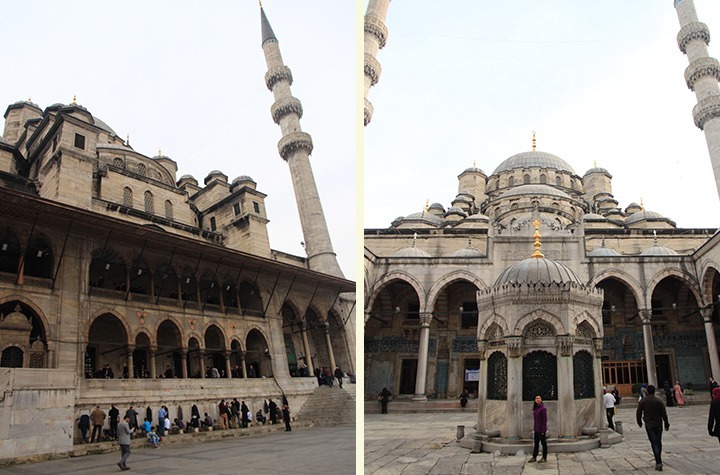 Note the guys on the left washing their hands and feet before entering the mosque to pray. 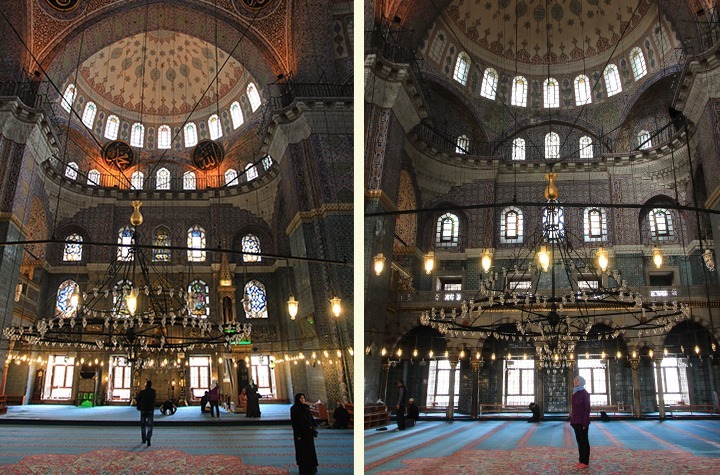 Like the Blue Mosque, the inside of the New Mosque is simply stunning. 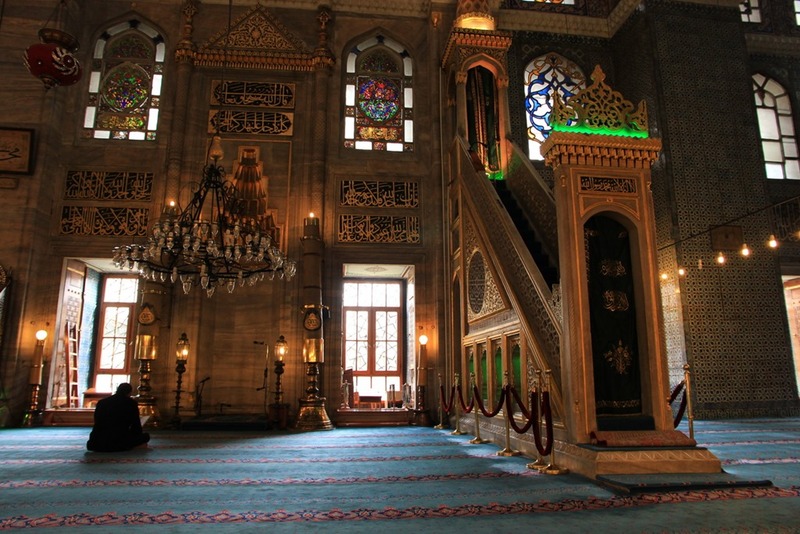 It’s also quite actively used, and has separate sections for men and women to pray in. 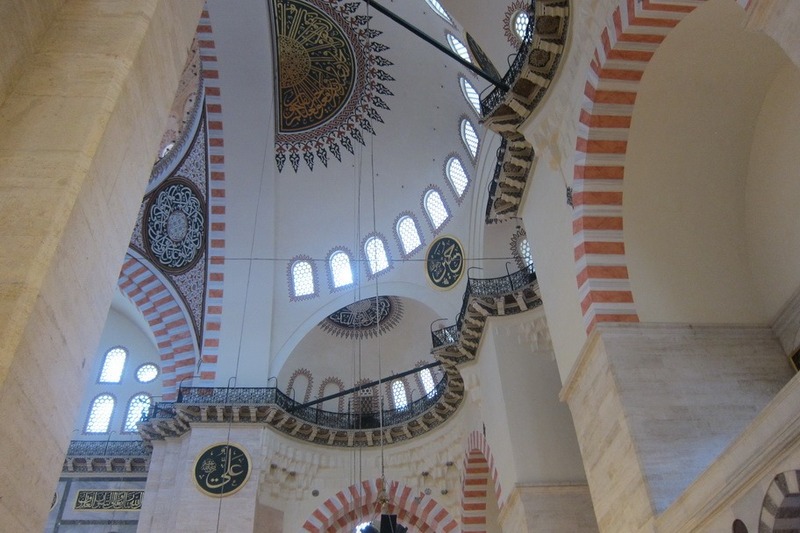 Of the mosques we visited I felt like this was the most “genuine,” in that it still seemed to be part of the locals’ lives. 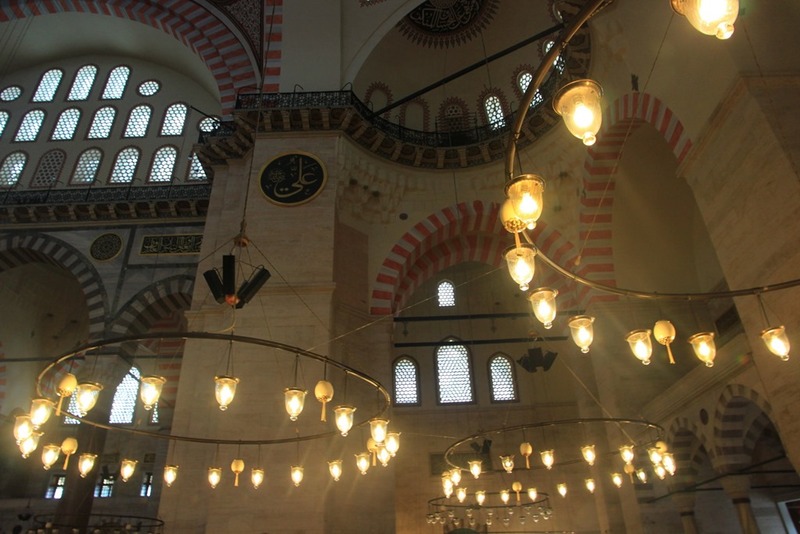 That being said, it is still lit up from below at night like the rest of Istanbul’s main attractions. 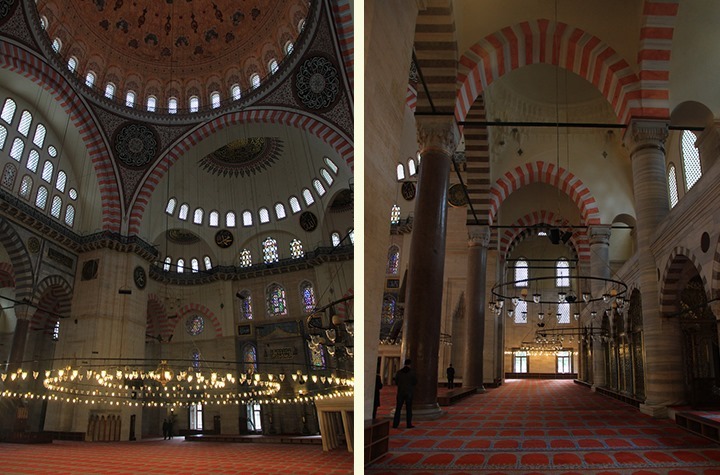 Even the New Mosque gotta pay the bills somehow! 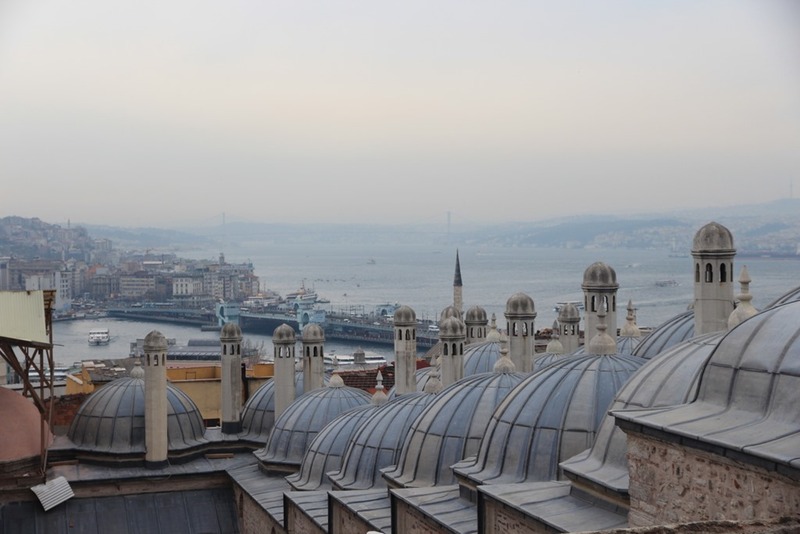 Perched on top of the older section of Istanbul, Süleyman the Magnificent has some excellent views of Istanbul. 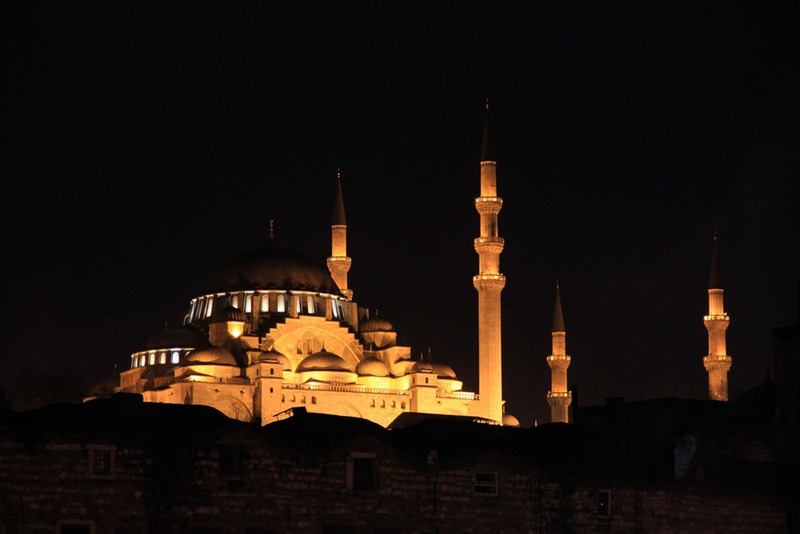 …and like the Blue Mosque and New Mosque is extremely well lit at night. Seriously, how much money did they spend on lighting in this town? 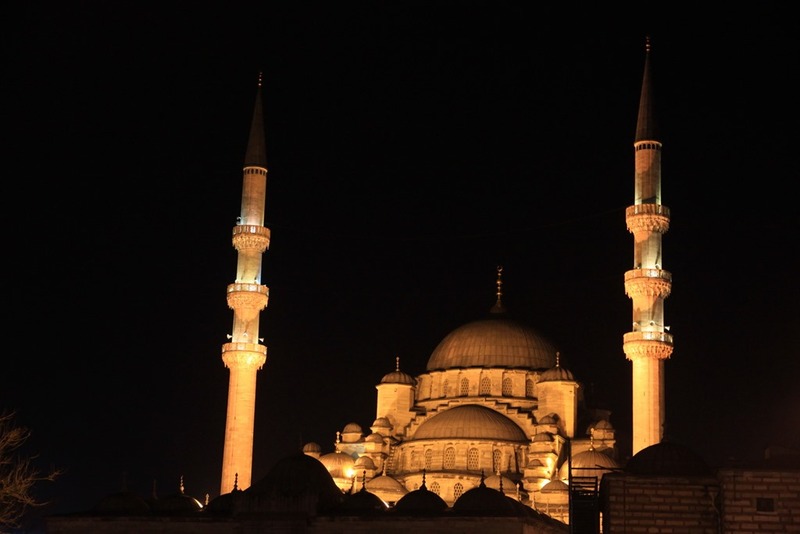 That’s all for mosques! 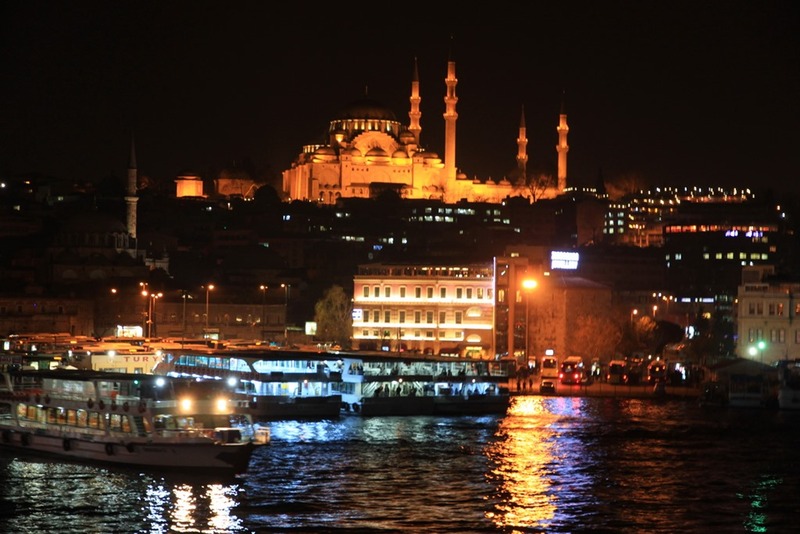 Tomorrow Mrs. Selfish will cover some of the nicer places we ate at during our 4 nights in Istanbul.